A new clinic joins the Move Well fold! 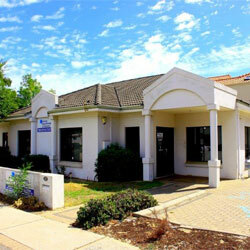 We are excited to announce that Rivervale Physiotherapy has just joined the Move Well team. Rob and Meghan Woolfenden join Move Well as partners in the clinic. Rob and Meghan bring their expertise as Move Well partners at Parmelia Physiotherapy to Rivervale, and with their combined experience you can expect excellent patient care through high clinical and professional standards and exceptional customer service. The Rivervale Physiotherapy website will be up and running in a week or two. Until then, if you drop past to take a look, you will see a transformation taking place. The clinic will be updated, painted, have new carpets laid, and the garden will be replanted. But it’s still business as usual. Why not make an appointment and check it out?